The Logic Pro drought is finally over. The first major update to Logic since Pro 9 debuted in 2009, Logic Pro X is a significantly streamlined and beefed-up digital audio workstation and MIDI sequencer for Mac, featuring, among other enhancements, an iPad interface called Logic Remote and a virtual session drummer with beats sampled from some great session players. 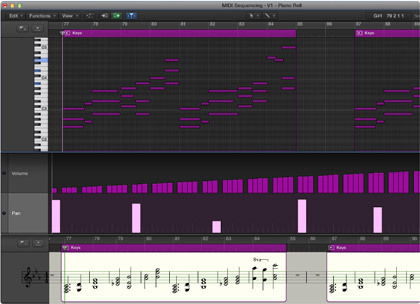 Also on board: A customizable synth programmer called Arpeggiator, and a Flex Pitch tool that helps musicians bring flat or sharp notes into tune. For more thorough reviews of the software, check out Macworld and The Loop, which both have good things to say about it. Logic Pro X is available in the Mac App Store now for $199.99.